With its steel-and-glass Modernist buildings and dedication to green living, Stockholm has the feel of a gleaming metropolis, but it offers a satisfying mix of old and new, from a well-preserved 17th-century warship to its glittering 20th-century City Hall. Stockholm, with more than two million people in its greater metropolitan area, is built on an archipelago of 14 islands woven together by 54 bridges. 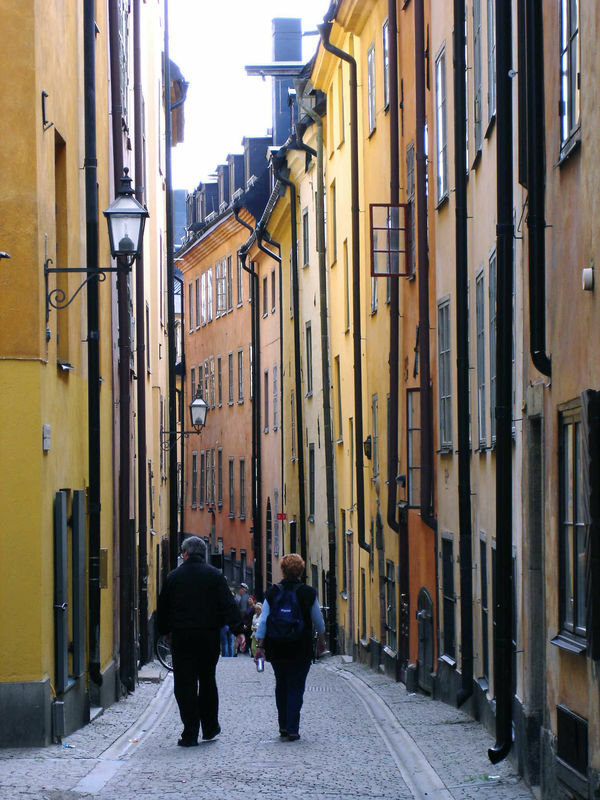 Gamla Stan, the city's historic island core, is an Old Town of winding, lantern-lit streets, antique shops, and classy cafés clustered around the Royal Palace. The palace hosts a fun, spirited Changing of the Guard ceremony, and contains the Royal Armory, with one of Europe's most spectacular collections of medieval royal armor. Famous Swedes include Astrid Lindgren, author of Pippi Longstocking (found in bookstores all over town), and Sweden's most famous sculptor, Carl Milles, whose statues are strikingly displayed in Stockholm's dramatic cliffside Millesgården. But let's face it. Most Americans know Sweden as the home of ABBA, the pop band responsible for more than its share of the 1970s' most catchy tunes. At the ABBA Museum on the central island of Djurgården, dancing queens — and kings — can pay homage and dig deep into Europop excess with a range of interactive exhibits. 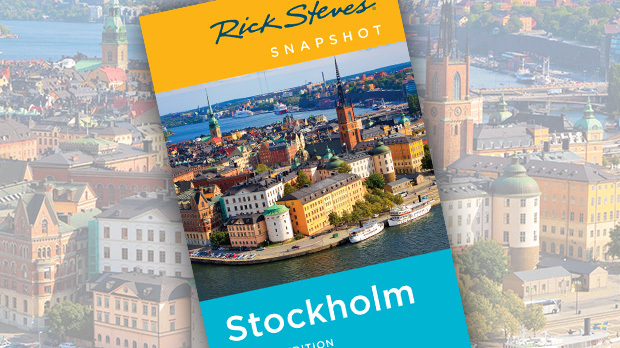 Of course, Stockholm has plenty more sights to keep tourists busy. 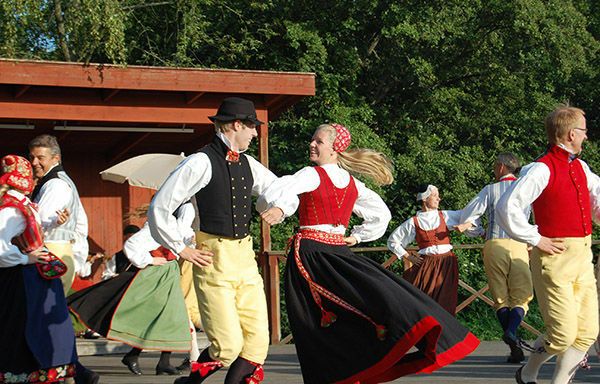 Skansen is Europe's original and best open-air folk museum. This huge park, with more than 150 historic homes, shops, churches, and schoolhouses transplanted from all corners of Sweden, makes for a fun trip back in time, and makes Swedish traditions come to life. The old interiors are wonderfully furnished, complete with guides dressed in traditional outfits. In summer, there's folk dancing nearly every evening. 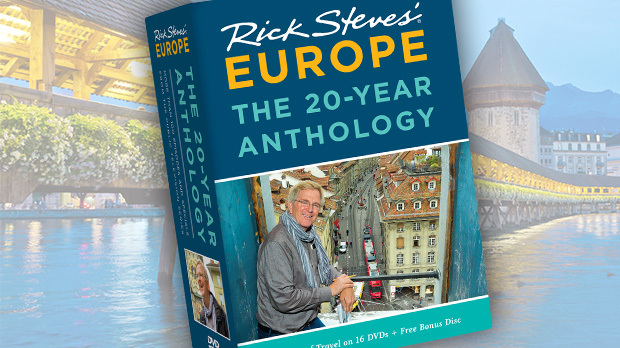 Think of it as Swedish-culture-on-a-lazy-Susan, where visitors can sweep through the countryside and centuries of lifestyles without leaving the capital. Near Skansen, the mighty 17th-century warship Vasa is chemically petrified and housed in a state-of-the-art museum. Heralded as the ultimate warship of her day, the Vasa sank just minutes into her maiden voyage, with 450 crew members on board. The year was 1628. The ship was top-heavy, with an extra row of cannon tacked on above and a lack of ballast below. A breeze caught the sails and blew it over. The ship spent more than 300 years at the bottom of Stockholm's harbor before being dredged up in 1961. And the city managed to turn this titanic flop into a brilliant museum and one of Scandinavia's great sightseeing attractions. While churches dominate cities in southern Europe, in the Scandinavian capitals, city halls take the lead. It's clear that Stockholm's City Hall rules the city. Constructed in 1923, it's an amazing mix of eight million bricks and 19 million chips of gilt mosaic. To see the interior, take the entertaining tour. And for the best city view, climb the 348-foot-tall tower (an elevator takes you halfway). Stockholm's dazzling Nobel banquet commences every December in City Hall, where the Nobel committee awards its prestigious prizes for chemistry, medicine, physics, economics, and literature. At the Nobel Museum, portraits of all 700-plus winners hang from the ceiling, shuffling around the room like shirts at the dry cleaner's (miss your favorite, and he or she will come around again in three hours). The museum's Viennese-style café is the place to get creative with your coffee...and sample the famous Nobel ice cream. All Nobel laureates who visit the museum are asked to sign the bottom of a chair in the café. Turn over your chair see who warmed the one you're on. Nobel winners stay at Stockholm's Grand Hotel. Even if you're not an honoree (better luck next year! ), it's still worth a visit for the best smörgåsbord in town. Some of the traditional dishes you'll find here include herring, boiled potatoes, knäckebröd (Swedish crisp bread), gravlax (salt-cured salmon flavored with dill and served with a sweet mustard sauce), and meatballs with gravy and lingonberry sauce. If you just want to put on a heavy coat and drink a fancy vodka in a modern-day igloo, consider the fun, if touristy, Icebar. The room, windows, bar, and even the glasses are literally made out of ice. While modern and progressive, Stockholm reveres its traditions. Whether you're celebrating ingenuity at the Nobel sights, strolling through the cobbled Old Town, or crawling through Europe's best-preserved warship, you'll be amazed by Stockholm's stunning past and present.